I absolutely love weekend mornings. 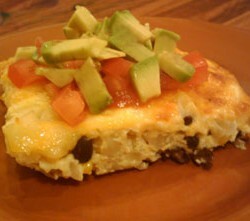 I can sleep in, I can take my time enjoying a cup of coffee, and I have plenty of time to make a really good breakfast. During the week I’m scarfing down a bowl of cereal and out the door, but not on the weekends. So, why am I telling you this on a Monday? 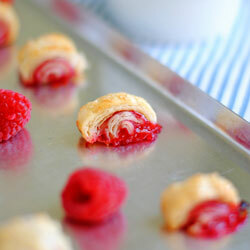 Because it gives you something to look forward to in making these Raspberry Crescent Twists this weekend! I’ve been making these for years and they are just divine. Even though I save these for weekend breakfasts, they take no time at all, just a bit of prep. I use the reduced fat crescents because they’re less greasy, but certainly use the one you prefer. Simply roll out the crescent dough and press the perforations to seal them. Spread the raspberry jam and chopped almonds on one rectangle and cover with the other. 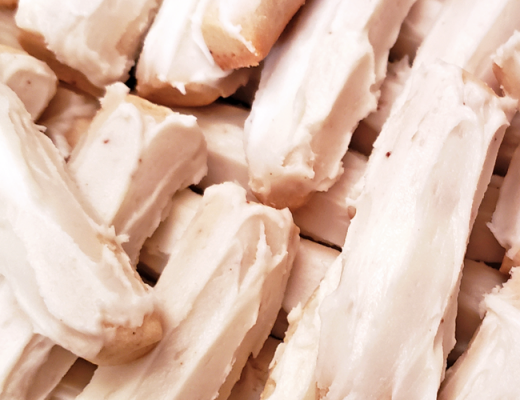 Seal the ends, cut into strips, and twist! I love the flaky, light crescent with the tart and sweet jam. The almonds are on the inside and sprinkled on the glaze, so you get a really nice, nutty crunch. The best part is the glaze. It’s made with almond extract and it pairs so beautifully with the tangy raspberry jam inside. 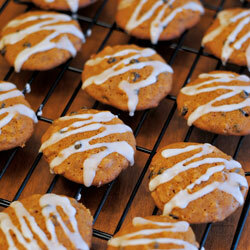 I’m glad one recipe only makes eight, because they are crazy addictive. I’ll tell myself I’m only eating one and I look down and three are magically gone. They keep pretty well in an airtight container for about a day. They’re great right out of the oven, at room temperature, or heated up in a toaster oven. Feel free to experiment with different jams, too! 1. Heat oven to 375F. Line a large cookie sheet with parchment paper. 2. Unroll dough on cutting board into 2 long rectangles. Press each into 12x3 1/2-inch rectangle, firmly pressing perforations to seal. 3. Spread raspberry jam on 1 dough rectangle to within 1/2 inch of all edges. Sprinkle evenly with chopped almonds. Place second dough rectangle over almonds; gently press top and long edges to seal. Cut crosswise into 8 strips. Twist each strip twice; place 2 inches apart on cookie sheet. 4. Bake 11 to 13 minutes or until deep golden brown. Remove twists from sheet; place on cooling rack. Cool 10 minutes. Meanwhile, in small bowl, mix glaze ingredients until smooth. 5. Spread glaze over cooled twists. Sprinkle with additional chopped almonds. I love the weekends, too, for that exact reason, Leah! I look forward to sleeping in, enjoying a cup of coffee, and then playing around in the kitchen. 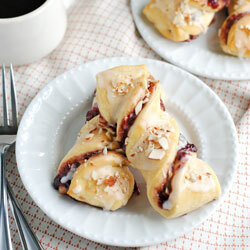 These raspberry crescents look amazing! I love how easy they are to whip up, too. Definitely a recipe I’m trying soon. Pinned! Weekends are the best when it comes to breakfast. 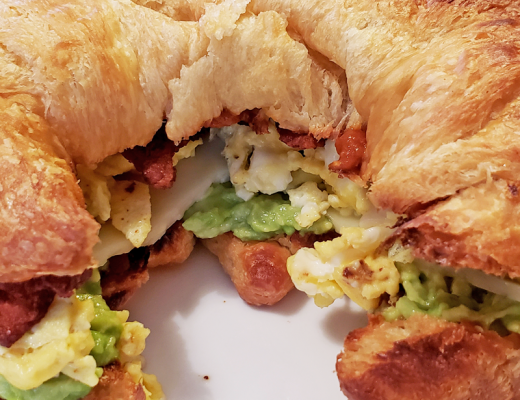 I am not much of a breakfast eater, but if I get the chance to whip up something incredible on a Saturday or Sunday morning, I am all over it. These twists are going on my must-make list :). Ack! Torture posting this on a Monday and recommending it for the weekend! So evil, Leah. 🙂 Raspberry + almond is one of my most favorite flavor combos, and I love that the almond is pumped up w/extract in the glaze. Brilliant! Definitely saving to make soon. Shut the front door!!! 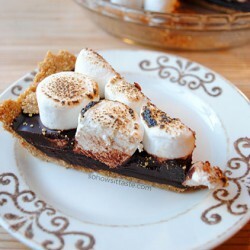 I love these and could use about a dozen right now. 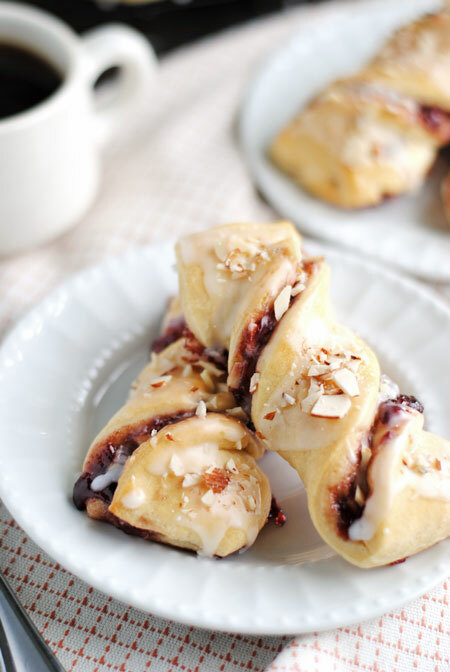 Raspberry and almond go so good together and these twists are so dainty and pretty. What a beautiful breakfast! I looooove weekends too the week days are so rushed. I really think that as a society we spend way to much of our life rushed and so little time being bake to relax and enjoy ourselves. These twists certainly look like the right way to start your day! Weekend breakfasts are the best!! It is definitely the time to have something a little more indulgent, like this. They look delicious. yum.. these look soo good – craving one now! 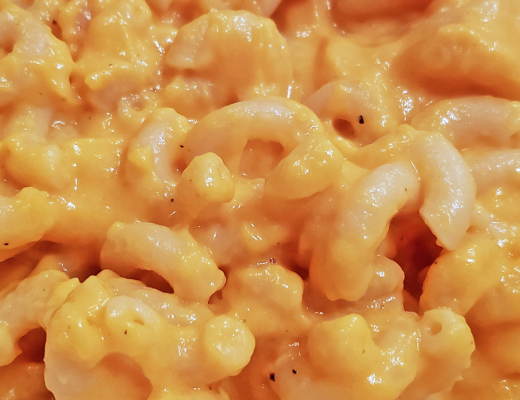 thanks for sharing another great recipe leah, love it! Wow, these look so much more complicated than they are. I have a feeling brunch guests would be super impressed! Weekend mornings are my favorite and your raspberry crescent twists look divine. these look perfect with tea! How can you not leave weekend mornings, especially when you can look forward to any kind of sweet rolls?! Love the combo of flavors you used here… I’m a huge sucker for almondy baked goods! These look so fancy but I love how easy they are to put together! What a great weekend breakfast treat! I love how simple they are to make and all those almonds! They would be great for sharing at a brunch! These look fantastic Leah! 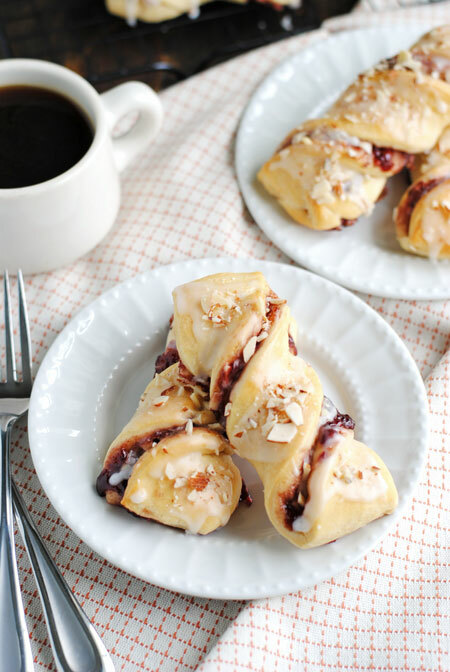 Weekend breakfast foods are my favorite too and these would definitely make a wonderful treat to wake up to 🙂 Love the raspberry and almond combo! 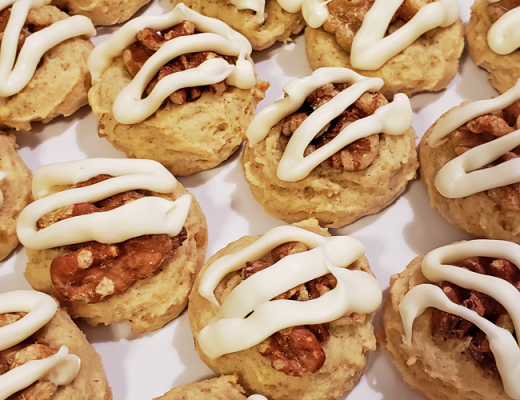 These look wonderful, and I love how they use crescent rolls! Those things are magical. =) Lovely pics, too! Love this breakfast idea, Leah! I definitely must recreate this recipe! Thanks for sharing!